Own the fairytale wedding of the century! According to news reports, nearly 23 million people in the U.S. set their alarm clocks to get up early and watch the Royal Wedding last month. If (as happened to me) work schedules made viewing the entire spectacle difficult, now you can own the DVD of the ceremony and catch up on anything you might have missed! You can purchase your own copy of the DVD for only $7.98 at the BBCAmerica Shop. 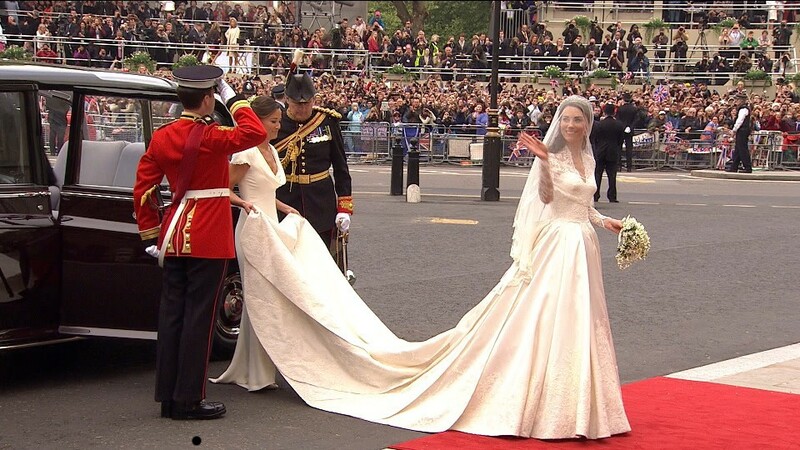 The royal wedding of Prince William to Kate Middleton was the event of a lifetime. BBC Video is making available this beautiful, commemorative DVD of the event on sale on May 24th! This wonderful keepsake will capture all of the pomp and pageantry of the historic occasion like no other memento. The DVD will include the complete ceremony plus highlights from the official BBC pre- and post-wedding coverage. Also included is the special bonus program, “William and Kate: A Royal Engagement,” presenting the story of William and Kate’s relationship via interviews with colleagues, friends and family. 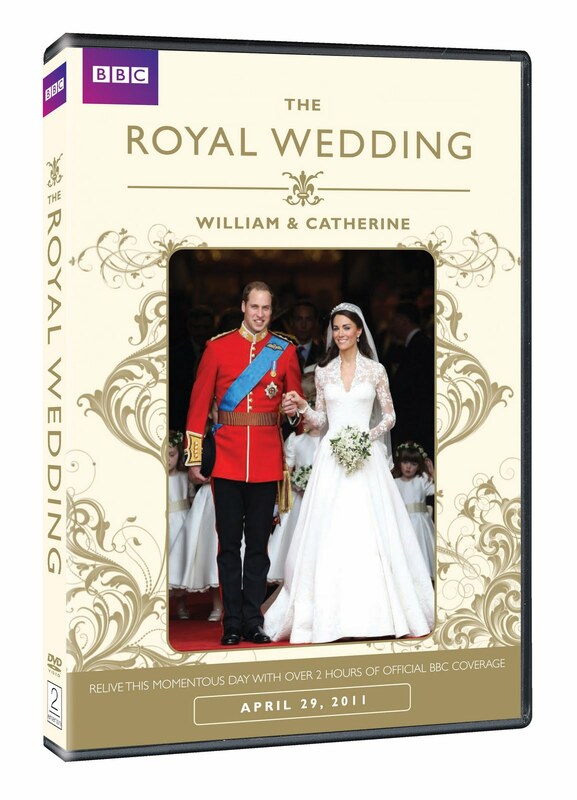 Lovers of the crown will want to own this special, commemorative DVD of this most delightful of events, the Royal Wedding of Prince William and Catherine Middleton. I really loved watching the whole ceremony again. The excited crowds, the lovely (and unusual) ensembles the ladies were wearing, the gorgeously decorated church: it's all here to savor again and again! If you simply *must* have your own copy of Princess Beatrice's hat, you can freeze the picture until you're able to note all the details! I'm still amazed at the poise and grace shown by the new Duchess of Cambridge. She displayed absolutely no trace of nerves, just a serene and calm presence which I'm sure greatly influenced the other members of the wedding party. The carriage ride the couple took back to Buckingham Palace was also exhilarating. The horse drawn carriages added to the fairy-tale splendor of the day. It was wonderful to see so many excited, happy people lining the streets to offer their best wishes to the newly married couple. I'm very happy that such a wonderful DVD is available at such an affordable price! 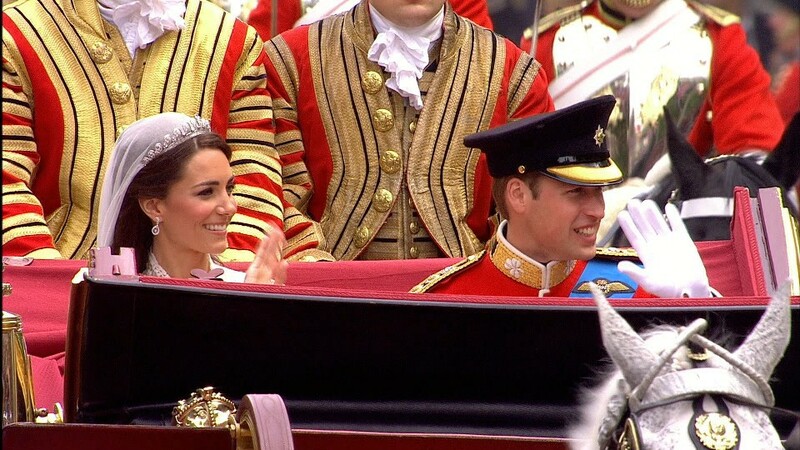 The royal watchers can enjoy the ceremony and join in the celebration of the marriage of a beautiful young couple. Final Verdict for The Royal Wedding: Five Gherkins, for being a magical look at a fairytale wedding! Fairy tale weddings are a dream of every girl. I am looking for various marvellous wedding venues in NYC to organize my parent’s anniversary in a couple of weeks. Will book one in a day or so. Hope they feel special celebrating with family and friends.